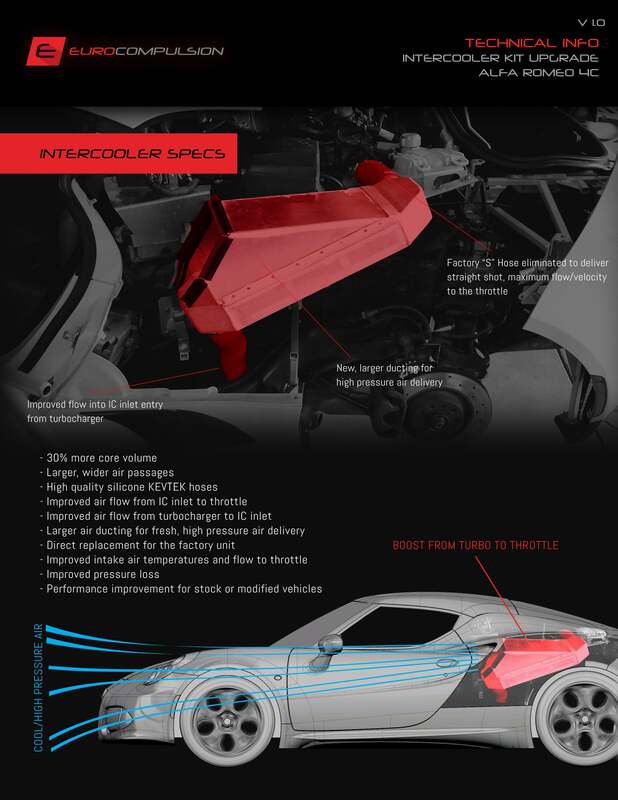 The EURO+DRIVE® CLONE Tuning System allows you to physically swap calibrations on your Alfa Romeo 4C. Using genuine OEM Alfa Romeo based software, protocols and calibrations, we have increased drive-ability, power and throttle response. We are proud to have the ability to offer you the most comprehensive tuning option for your Alfa romeo 4C. Each purchase includes a Genuine Alfa Romeo 4C Engine Control Unit (If Clone is selected) loaded with our calibration. Designed and developed for the Alfa Romeo 4C (1.75L). EURO+DRIVE® CLONE Does Not require you to ship your ECU. 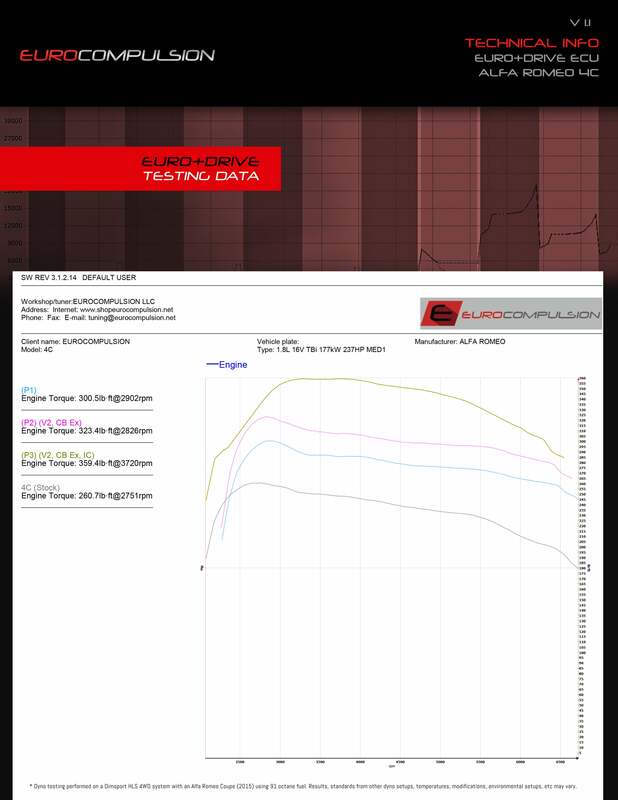 The EURO+DRIVE® DIRECT Tuning System is an economical solution in loading calibrations on your Alfa Romeo 4C. Using genuine Alfa Romeo 4C based software, protocols and calibrations, we have increased drive-ability, power and throttle response. 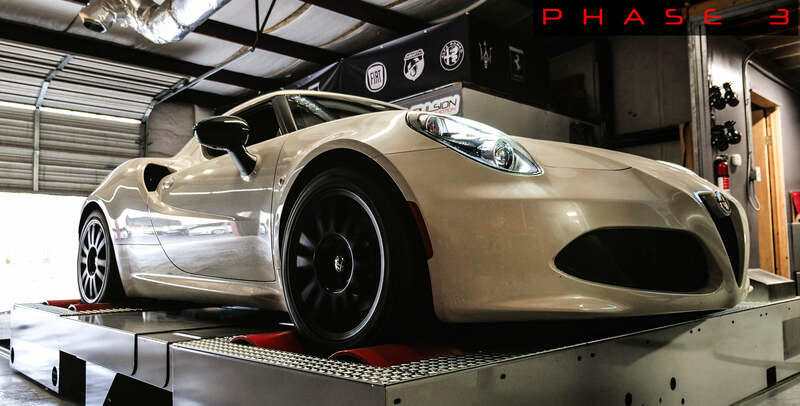 We are proud to have the ability to offer you the most comprehensive tuning option for your Alfa Romeo 4C. Each purchase includes our calibration loaded onto YOUR Engine control Module. Designed and developed in the USA. Must Ship Existing ECU. NA/EU/AUS ECU DESIGNATIONS DEFINED BY SHIPPING DESTINATION. If you encounter a CEL upon initial start, disconnect the ground cable for approx 30min. Reconnect ground cable and place key into the ignition and turn key without starting vehicle, allow 30sec then repeat 1-2 times. This will allow the throttle-body to cycle and re-calibrate itself. If you encounter any other issues please do not hesitate to contact us. 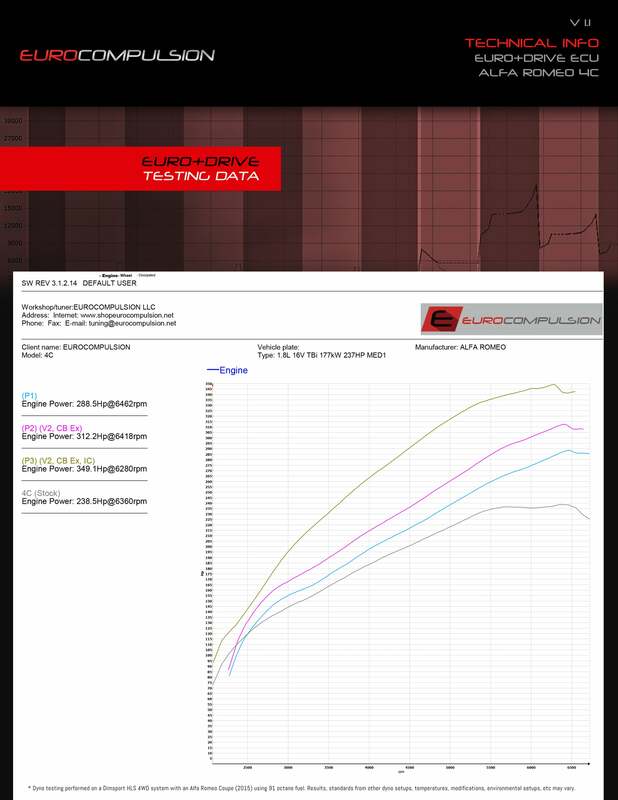 Previously we utilized testing methodology based on the Auterra Software which simulated a Rolling road Dyno to gather data (data logging) and we also utilized their Dyno software that gathered multiple points of information gathered by the OBD2 system such as wheel speed rate, vehicle speed ect. hence the discrepancy with whp outputs. We have also since this initial testing period and release have updated Phase 2 and Created phase 3. We decided to hold off on releasing any information until Phase 3 was finally complete and roll out the offering with the updated testing results. Different testing methodologies will produce different results. M! !, 4Canada, Docron and 1 others like this. Alfa Romeo 4C: Advanced Development @ Eurocompulsion O.K. "Speak softly and carry a big stick, you will go far"
Last edited by 4Canada; 03-25-2019 at 05:21 PM. Reason: Inserted revised Dyno image per OP request. 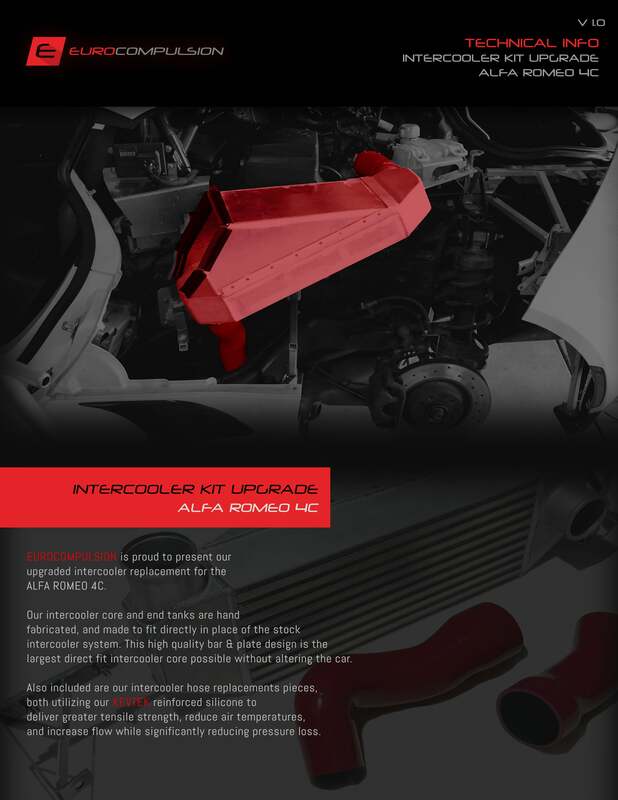 The EUROCOMPULSION UPGRADED INTER-COOLER KIT for the Alfa Romeo 4C features (2) heavy duty 5 ply silicone made with our Kevtek molding that can withstand in excess of 85+Psi and temperatures of 600+ degrees. This intercooler core is completely custom fabricated, and is the largest core possible to drop in place of the factory system without alterations to the car. This is a plug and play upgrade, beneficial for any 4C, and vital to any tuned or modified car. The design of this system is meant to lower intake air temperatures, decrease pressure drop, and maximize air flow and velocity from the turbocharger to the intake manifold. Kit comes with complete Intercooler, (2) silicone hoses, brackets, clamps. 4Canada and bunta_garage like this. Last edited by [email protected]; 03-23-2019 at 09:34 PM. Chris. Congratulations on this important ECU upgrade as it should be warmly received by those of us who race our 4Cs. Price to upgrade from Phase 2? Price to upgrade and existing ECU Clone is still $249. Cool stuff Chris. Any videos of "pops and bangs"? That's coming up next! Almost done with it. M!! and lars like this. Congrats. But this is a bit "info overload"
What is the retail price, in US$? Phase 1 = +23% more power. Phase 2 = +36% more power. Phase 3 = +50% more power. Last edited by MoFo; 03-23-2019 at 09:09 PM. [email protected] and lars like this. mdpsk, davetran, M!! and 2 others like this. Intercooler looks really nice. Just ordered it... It's great to see more custom mods coming for these cars. 4Canada, [email protected] and lars like this.